Endplates. They are found on the front and rear wings and on pretty much every winglet or aerofoil shaped device on the modern day racecar. So what are they doing? The endplate has two functions, the primary reason for their shape is to control the wingtip vortices at the trailing edge of the wing as this reduces drag and also lift. The second reason is that they control how the airflow makes its way over, under or around the aerofoil device that is creating the downforce on the car, resulting in better airflow management and maximising the performance of the component. 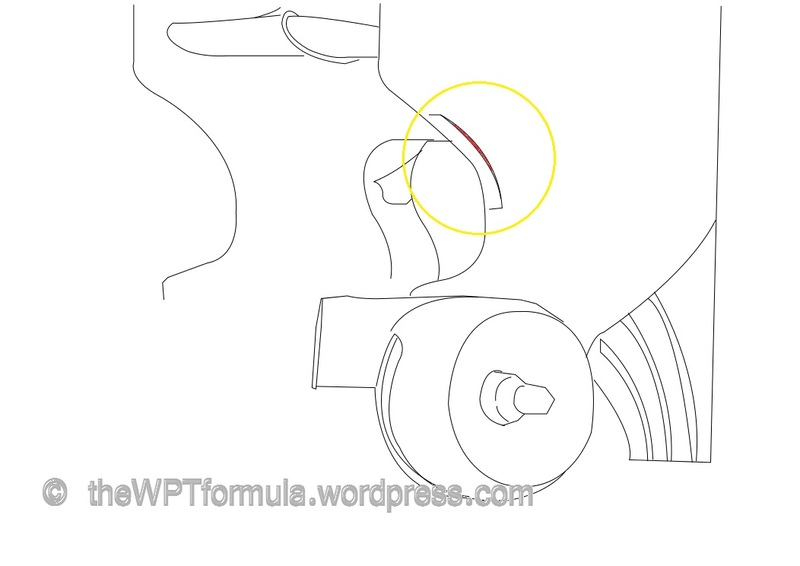 In this short(ish) article, I will be breaking down some of the key add-ons found on the modern rear wing endplate that help the wing produce as much downforce as possible while minimising drag. In the early 2000s, more and more teams started to introduce slots into the rear wing endplates. The slots lie above the wing planes and even out the pressure delta between the top and bottom of the rear wing. The two pressure zones converge at the wing tips as they exit the wing, creating large vortices that induce drag and lift upon the wing. Much lower (but not low pressure – that lies beneath the wing), ambient pressure is upon the outside of the endplate, whereas very high pressure is flowing inside over the top of the wing. 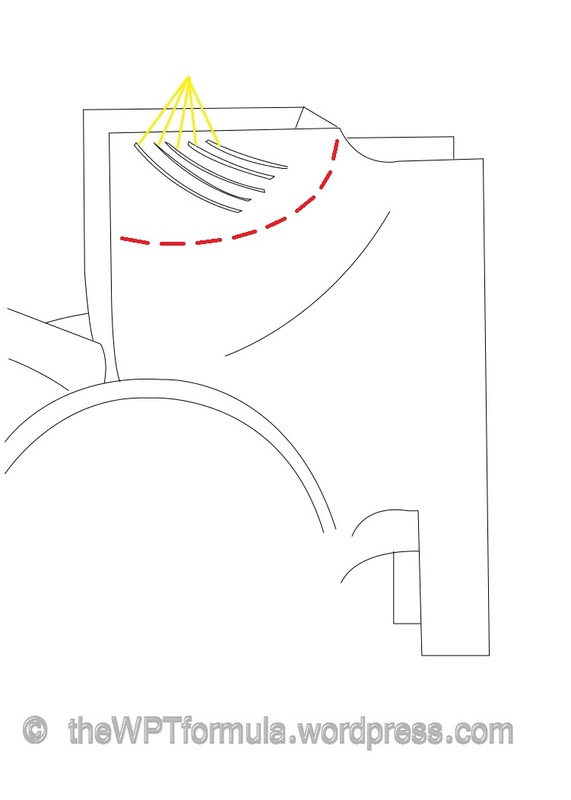 As fluids tend to travel from high to low pressure, the airflow above the rear wing would also tend to shift to the ambient air outside of the endplate. The slots expand outwards from the inside of the endplate, allowing the high pressure flow to bleed off into the ambient air outside. With the slots installed, the pressure zones still collide but they reduce the spooling of vortices dramatically. The vortices can often be visually seen in damp and cold conditions, so we often see this in pre-season testing in the winter and at Spa where it is traditionally a cooler climate. It looks exactly like what you will see in the video below, only trailing out of the rear wing tips. Starting out at around two or three, this number has slowly grown over the years to try to further even out the pressure delta. Most wings today now have around five or six, depending on how big the wing is. The reason why size makes a difference to this number is because the deeper the wing is, the greater the number of slots can fit onto the endplate above the wing planes. With today’s modern rear wings, the endplates have a much greater surface area so pressure build up is higher. It has therefore been a highly developed area ever since the regulation changes in 2009, with teams regularly changing the positioning and angle of the slots to create less drag. Above is a diagram of last year’s Red Bull RB8. Red Bull have traditionally run with these half-moon shaped slots for the past four years until Bahrain this season, changing to a more common horizontal configuration. Each car’s slots will be laid out differently depending on a number of factors, mainly on how much pressure is built up in that zone, and how they want to manage the airflow above and below the wing to extract the most downforce. Adding slots reduces overall downforce as the pressure delta between above and below the wing is reduced. The greater the difference, the greater the downforce upon the car, but drag is a penalty that cannot be discounted. I have also highlighted the profile of the wing behind the endplate (dotted red) to show you how much room there is to place slots on the endplate. When a shallower wing is used, such as in Monza where top speed is king, there is less room on the endplate. However fewer slots are needed as the pressure difference between the two sides is lower. Teams sometimes opt to totally disregard slots for Monza. Another kind of slot we have been seeing lately is the leading edge endplate slot. Designed to reduce tyre squirt (turbulence generated by the rotation of the tyre), it allows airflow, which contains mostly turbulent flow, of higher pressure to bleed into the inside region. This diverts the turbulence away from more crucial devices such as the flickups on the brake ducts and the top of the diffuser, making them both work more efficiently. The slots are often narrow and small as the engineers do not want too much of this airflow travelling into the inside of the endplate. This is because the turbulent air rises with the upwash of the beamwing and Monkey Seat winglet ( both below the rear wing). 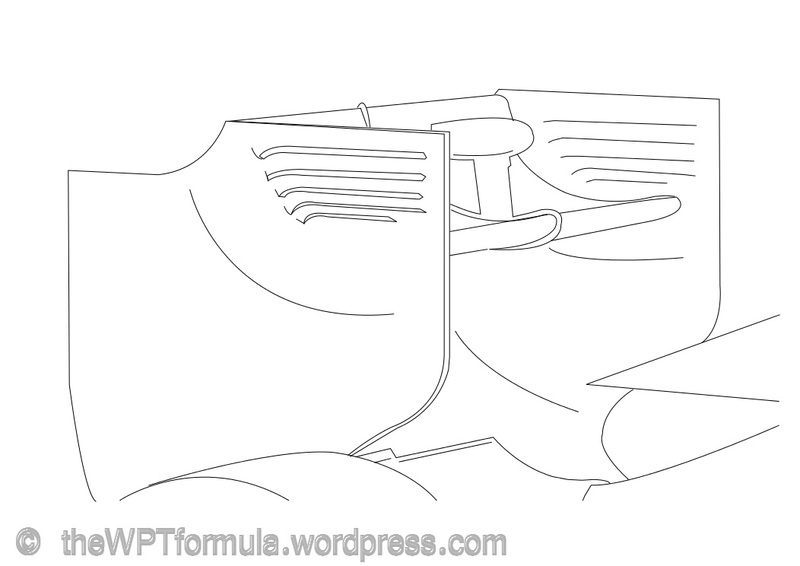 This can impinge on the low pressure zone beneath the main wing planes and lose a lot of downforce. The slot allows just enough turbulence through to stop it having an impact on other components around the base of the rear wing. 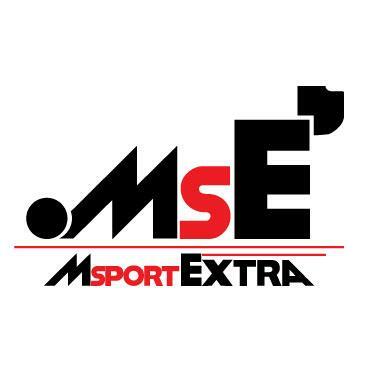 Subtle name change, big difference. 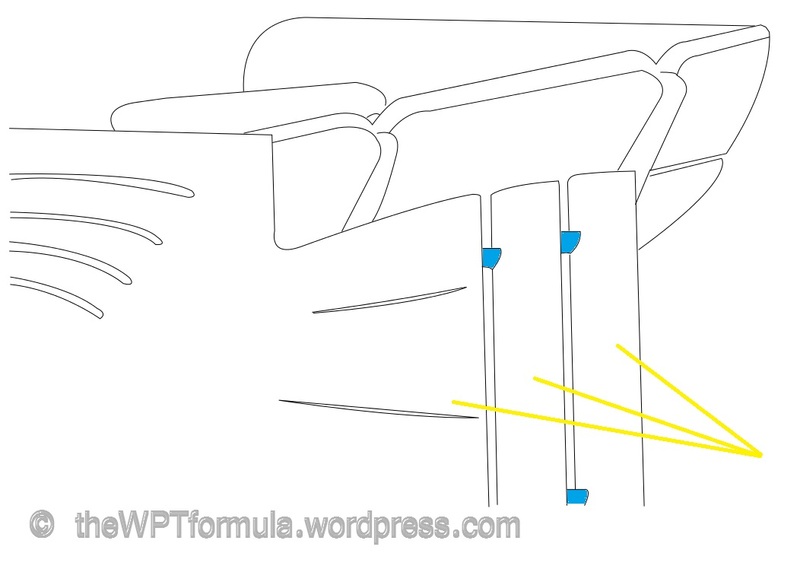 Slats are the vertical elements of the modern day rear wing that are often found at the base of the endplate. Each slat is mounted to the rear wing as well as a small footplate at the very bottom, although some designs do not incorporate this feature. They are often stacked upon eachother in a fanning out direction – the leading edge is inboard of the footplate, the trailing at the outboard area. The concept was introduced by McLaren (above) in 2011, starting with three large slats and an additional one mounted to the diffuser behind the rear wheel. This number has increased over the past year and the width of each has therefore decreased. Toro Rosso claim the biggest count of 11. The idea of having these here is to distribute the tyre squirt evenly out of the brake duct area and over the top of the diffuser. I always try to imagine the purpose of this device by visualising a flow of water running down a pipe. If there is a small blockage in the pipe, the water will still flow over it but become turbulent. This also backs up the water behind it, slowing a larger section than anticipated around the blockage area. This is what I presume is going on here. It takes the turbulent air ejected from the sidewalls of the tyre and straightens it out slightly, speeding the flow up behind the slats as a result and reducing the impact of the tyre squirt. The slats also help with the outwash of the rear wing, accelerating airflow at the base of the endplate to boost downforce. Outwash and upwash are ways of expanding the low pressure flow from beneath the wing to make it work better. This is why the endplates have a slight outward lip to them at their trailing edge. Ferrari have taken this concept further by extending the length of the trailing two slats to the very top of the endplate. This design should hopefully achieve outwash across the entirety of the low pressure zone beneath the wing. They have separated each slat with a small aerofoil shaped join (highlighted in blue) to stop them from flexing at high speed. When the F138 was first launched, many believed that this idea would be a must-have development part as it creates outwash across the whole area beneath the wing. However we are yet to see another team adopt this, as perhaps the aerostructures around the endplate do not benefit from this system. Teams such as Lotus have spent a lot of time designing strakes along their endplates. The leading edge of each strake often corresponds with a path of airflow that is guided off of the rear brake ducts. This is a peculiar development, as I cannot think what benefit it has. Clearly it has an advantage as Ferrari (you can see them in the image above) and McLaren have also been using them of late. The Lotus strakes have perforations, creating a dotted line effect along the endplate area. Again, I have no idea why this could be. If anyone knows why would they please leave it in the comments below, as I am also keen to find out! The strakes won’t produce any downforce in their own right, so it is probably a management type device, such as the slats that we have covered. 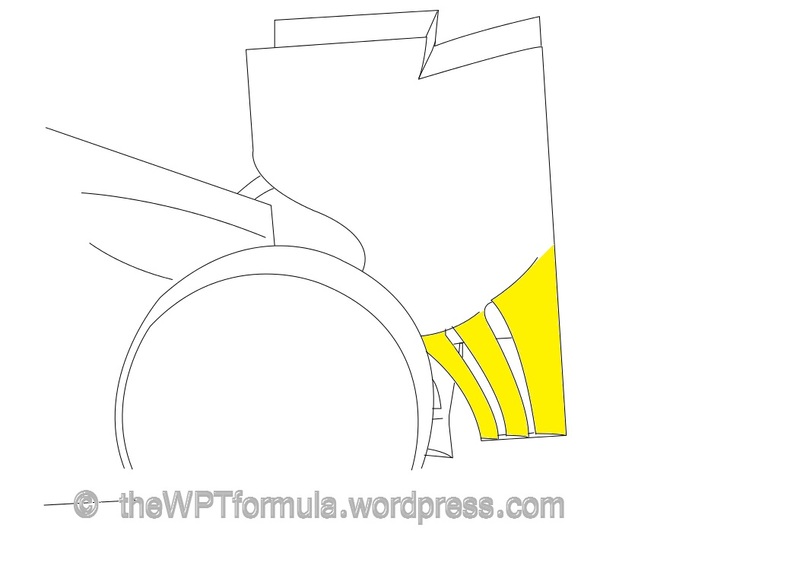 This entry was posted in Analysis, General and tagged endplate, rear wing, slats, slots, tyre squirt on August 13, 2013 by thewptformula.